Whether you are just thinking about getting a mountain bike or you’re a seasoned shredder, there are many factors to consider before you purchase your hardtail mountain bike. Hardtail mountain bikes offer what full suspension bikes cannot, especially on difficult trails. This review will give you a taste of just how much of an advantage hardtail bikes have on those narrow mountain biking routes. We’ve also narrowed down the best hardtail mountain bikes under £1000 so you can get the best value for your money. The term “hardtail” refers to bikes that have front suspension but do not have any rear suspension. These bikes are agile, economical, stable, and more reliable than a bike that has rear suspension. Hardtail Mountain Bikes are great for racing down trails and taking on outdoor adventures with you and your family. They’re known to be extremely tough and hardy – you won’t have concerns about it lasting for a long time through all the trails and bumps. Hardtails are easy to acquire, whether you purchase them online or in your local bike shop—but why should you get one? We’ve outlined a few reasons why these bikes are right for just about everyone. One of the reasons Hardtails are so great is that they appeal to every person’s abilities. These bikes are ideal for your seasoned biker who tears up the trails every day, and for your weekend family bike rides. These bikes can be used on a variety of terrains, from tall rocky mountains to sandy environments. Hardtails also boast little maintenance and are a lot simpler to service and maintain. Without a rear shock and pivoting triangle to worry over, all the maintenance is really just keeping the bike clean and taking care of it. Oiling the gears every now and again certainly won’t hurt. Without all the extra parts of a full-suspension frame, hardtail frames are generally pretty light. For you experienced bikers who go cycling just about every day and spend more time climbing steep hills or mountains, the weight that you save will make a big difference on your rides. You can almost always get a better deal overall with a hardtail. The easy layout grants manufacturers the option to cut the overall price or add better components than you would usually find on a comparably priced full-suspension bike. Hardtails are fun to ride in all weather and terrains. They can be used for easy trails or hard mountain riding, so it adds obstacles that you can use to challenge yourself. Learn techniques to make it down the trail or the mountain without a hitch. With the rear end incapable of absorbing any shock, the hardtail has a certain liveliness while riding it. There are quite a few types of hardtails that you can choose from. The ones that catch your fancy should mirror the discipline you are looking to pursue or the terrain you are hoping to shred it with. Hardtails with rigid forks aren’t seen as much today because of the increased growth of the hybrid and cross bike market. The increased availability of higher quality suspension components at lower prices gives them an advantage over rigid forks. 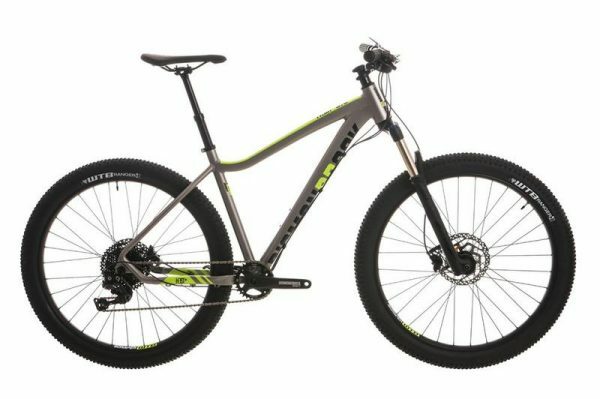 However, a rigid forked hardtail is lighter than the hybrid and the cross, so they are still a fantastic choice for light off-roading trails with steep inclines. Fattie bikes are designed with larger and wider tyres traditionally designed for environments with sand and snow. These bigger tyres allow the rider to have more grip on unstable terrain and can be a good alternative to front suspension. These tyres will also protect the riders while plowing through bouncy terrain. Cross country bikes, also referred to as XC, are where the sport of mountain biking began. XC bikes are designed for endurance and fast speeds. They sport narrow tyres and bars, 75-100mm front suspension, and a high gear range. This bike will keep you going top speed even while climbing hills and trails. The Trail Hardtails are the most diverse of this group of bikes. They feature more relaxed angles and wider bars with 100-150mm front travel. Trail hardtails are a great option if you are exploring your range of cycling discipline. They are designed to offer suspension in descent without compromising the bike’s climbing ability. Enduro is a mountain biking sport driven on cross-country, off-road courses. In Enduro, you are timed on your descents but not the other portions, such as climbing or getting to and from downhill sections. 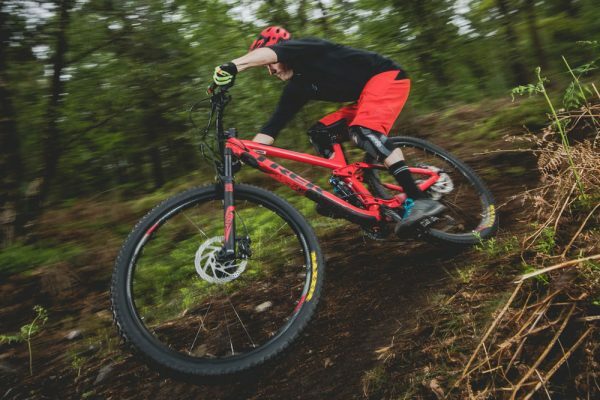 Enduro bikes focus a lot more on front travel that meets with a long wheelbase, and a long top tube and shorter stems that allow a more aggressive riding style and control at high speeds. Electric bikes are now offered in the mountain bike community. You can now own an electrically assisted hardtail mountain bike that is specifically designed for off-road riding. Although they are heavier than your average mountain bike, the weight is counteracted by a pedal-assisted motor. 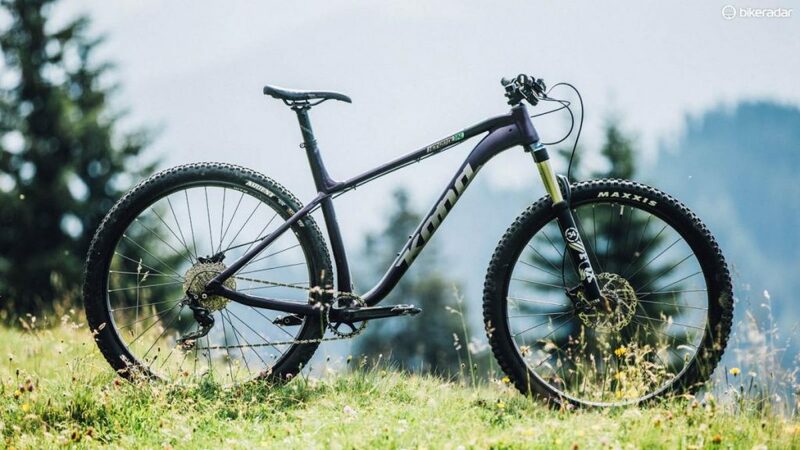 We’ve scouted some top hardtail bikes below. Many of the bikes have similar features, but each has been designed for different functions and have different abilities. We hope that you like what we’ve chosen to review. The Avalanche Expert is a great bike for those long descents when you’re mountain biking. The frame sports a longer front-centre, which provides better balance for you and better traction when climbing. The Avalanche Elite provides a high-quality triple triangle alloy frame that is made for perfect handling and durability. This bike offers fast-response brakes, firm control, and a wide gear range for when you are tearing up those cross-country trails. The Honzo is a great bike with a gorgeous body that’s waiting for you to take it for a spin. This frame boasts a short rear end and slack angles with many added features that will help you attack those challenging trails that you’ve been avoiding. The Diamondback Heist was specifically designed for users who want to shred terrains in any weather conditions. It sports an alloy butted hydroformed frame used with the Rockshox Recon Silver Soloair boost forks for outstanding shock absorbance from sudden impacts. 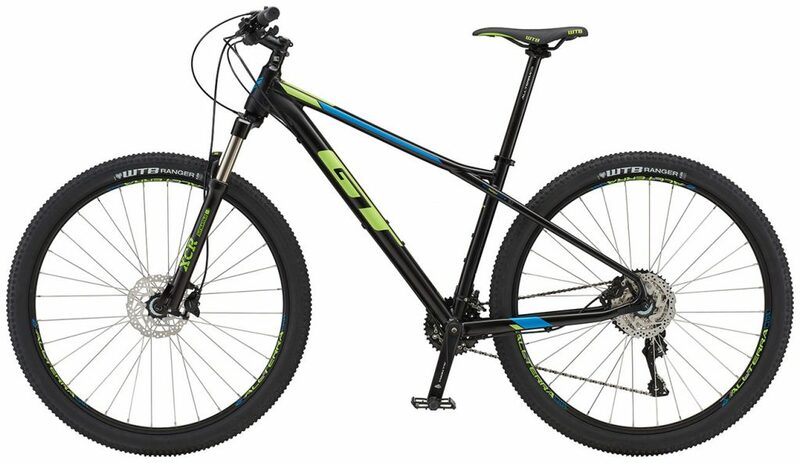 The Scout 275 Sport is the perfect bike for mountain biking enthusiasts. It comes equipped with RockShox Recon RL forks with 140mm travel which will absorb every jolt and bump, perfect for a smooth ride in any type of weather. Originally, all bikes were made from steel because of its durability, strength, repairability, and comfort. Although steel is still used by some manufacturers, it is not used as much today. This is because of its comparative weight and rigidity-to-weight ratio, at least when compared to materials such as carbon fibre and aluminium. Aluminium is the most common substance used to make bikes in today’s market. Aluminium is lightweight, strong, and provides an improved power transfer and stiffness-to-weight ratios than steel frames. Upscale aluminium frames can also be butted to decrease the weight of the build without compromising the stability of the frame. Although carbon is rare on anything but the pricier of hardtails in circulation, it deserves to be mentioned. Carbon fibre is the lightest and sturdiest material used to make bicycle frames. It is the top choice of professional riders, providing exceptional stiffness-to-weight ratios and great rider comfort due to the vibration-muting qualities of the material. However, if you’re a beginner or uncomfortable on a bike, you accept the risk of crashing your bike and damaging the frame. A serious impact could impair the integrity of your frame since carbon is more prone to crash damage than traditional metal frames. Carbon frames are also more expensive to get repaired. Your hardtail mountain bike will usually come with reliable wheels and tyres that are designed to weather the challenges of off-road biking. The rims are designed to be wide and constructed for optimum durability. Today’s wheels are 29”, which are the same size as a road bike. They are the best choice for riders because they add speed, have good grip, and also have more contact areas. Sometimes, there’s no better feeling in the world than having some time to yourself in nature. The next time you decide to go for a bike ride, hit some of your local bike trails with a hardtail mountain bike. Consider any one of these affordable but durable brands we’ve laid out and you should find yourself a good deal. Happy riding!